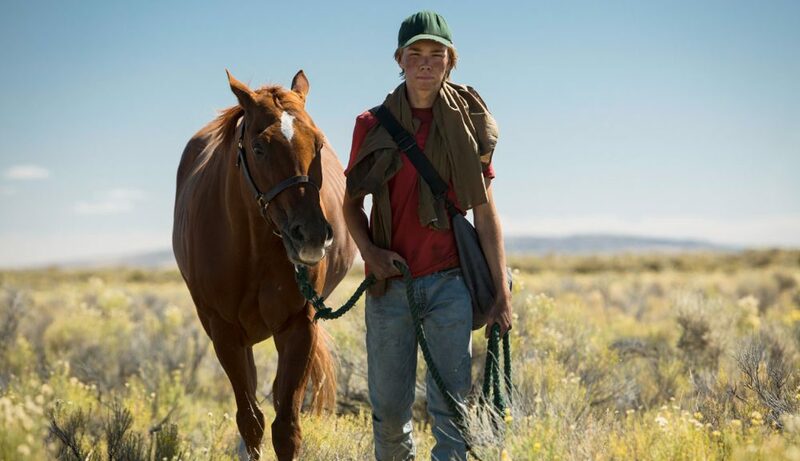 Andrew Haigh’s Lean on Pete is a beautiful movie, not just about a boy and a horse, but about the courage of a young man dealing with harsh circumstances and careless, irresponsible adults. Opening with a teen, Charley (Charlie Plummer), running through an industrial looking area, the film gives us a picture of a kid’s desolate existence in a dreary American suburb of Portland, Oregon, and on a low income, having little to do except eat junk food and watch TV. 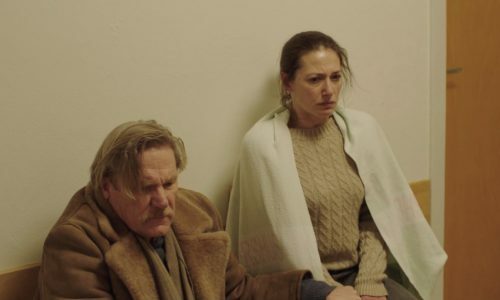 A lonely child with a self-absorbed deadbeat dad (Travis Fimmel) – who loves his son in his own way but is weak – and a mother who abandoned him, Charley’s sadness is palpable. One day, after a run, he wanders into a racing stable where he meets Del (Steve Buscemi) who hires him to work with the animals. He is assigned to a particular horse, Lean on Pete, whose running career is about to end, at which point he will be sent off to slaughter. Charley forms a bond with Lean on Pete, despite warnings not to by Del and his jockey Bonnie (Chloë Sevigny), and tries his best to save him. 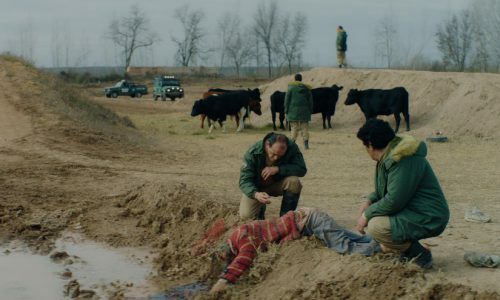 In a world in which no one cares that much about Charley, it becomes heartbreakingly important for him to rescue this horse, and he risks everything to do it. Faced with being completely alone at 15 – although some strangers show him kindness, which means everything to him – he must also struggle with devastating losses. The teen’s bravery and ingenuity throughout are incredibly moving, as he battles the elements and hunger, while slowly and purposefully travelling cross-country to Wyoming to try to find his aunt (Alison Elliott), the only adult who ever showed responsible concern for him. 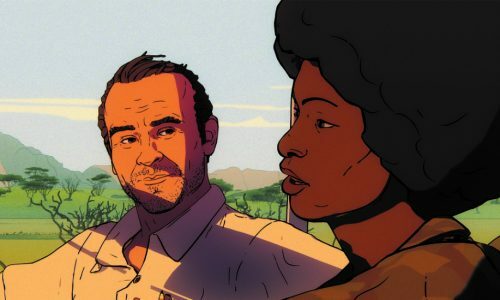 Haigh likes to explore spontaneous, impromptu connections and where they lead to new twists and turns in life, and in this piece these random encounters, although occasionally frightening, mostly enrich Charley’s experiences and help him to find his way in life. 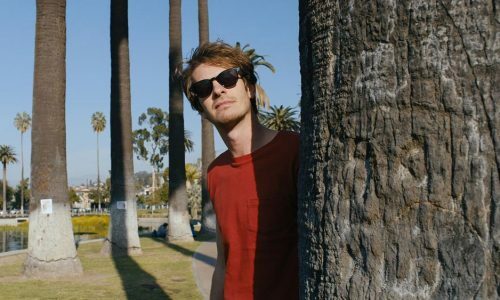 What is most striking about this feature is the sensitivity with which it is written and directed combined with newcomer Charlie Plummer’s brilliant performance. 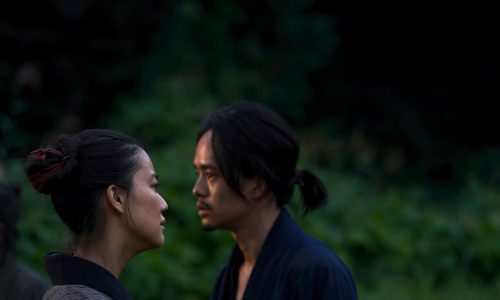 The camerawork is lovely and artful angles, expression shots, as well as stunning landscape scenes help express the poignancy of the film. With a quiet, pensive style the work completely overtakes your emotions – Lean on Pete is a heartwarming, inspiring gem. 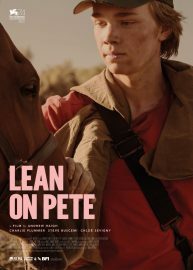 Lean on Pete is released nationwide on 16th February 2018.